Jennifer Aniston and Brad Pitt have been surrounded with several rumors about their alleged reunion over the last few weeks, and now a report claimed that the duo will be part of a romantic comedy. Gossip Cop on Tuesday debunked the report, along with another rumor that claimed the actress was showing off her "revenge body" to make Pitt and her ex-husband Justin Theroux jealous. According to the Sun, Aniston and Pitt “could be set for a sensational reunion on the set of a new romcom,” and are contemplating “starring together in a film for the first time now that they’re friends again.” This report comes just days after Gossip Cop debunked claims of a secret marriage between the ex-lovers. The real truth, however, is that Aniston and Pitt are not planning on getting back together and neither are reuniting as friends. The duo has reportedly not spoken to each other for years. 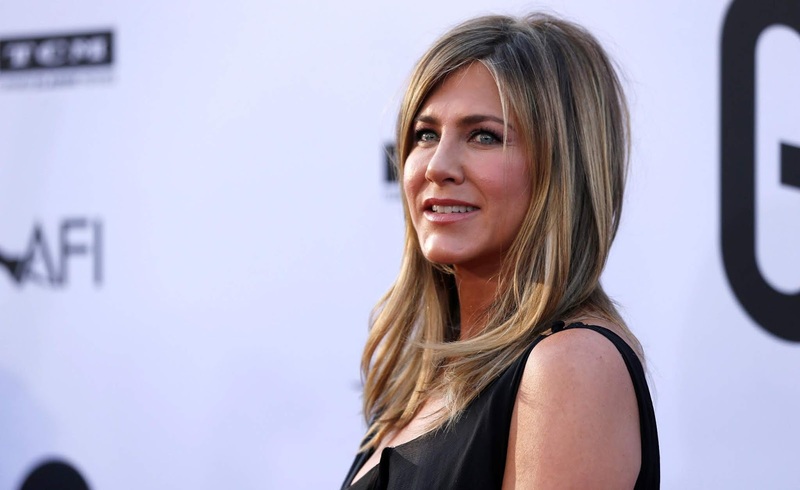 It is believed that Aniston has moved on from her split with Theroux. In July, a source told Entertainment Tonight that the 49-year-old actress has started "casually dating," five months after announcing her separation. A week after her split, a source told ET that the actress was enjoying the single life. "She won't fall in love anytime soon," the source revealed. "All her friends are around her. That is the best supportive group."